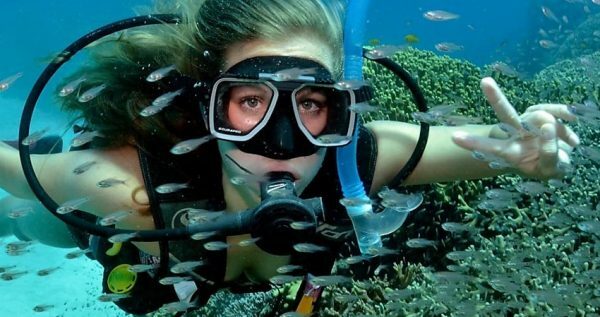 Experience scuba diving during your vacations in Side and immerse yourself in the secrets of the underwater world. Take a chance to explore the Mediterranean Sea by diving into its crystal clear waters. 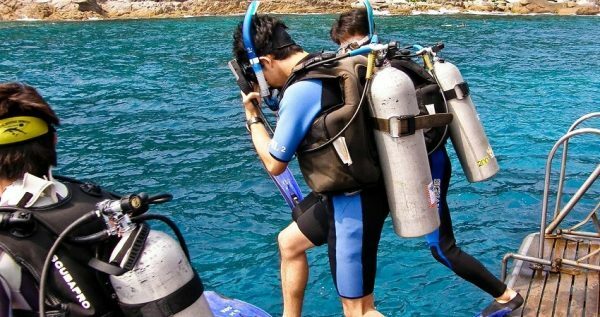 Side Diving Tour is an ideal adventure for those who are in search for alternative tourist activities. Side Diving Tour starts by the moment you will be picked up from your hotel. A comfortable and fully air-conditioned vehicle will drive you towards the location where the boat is. 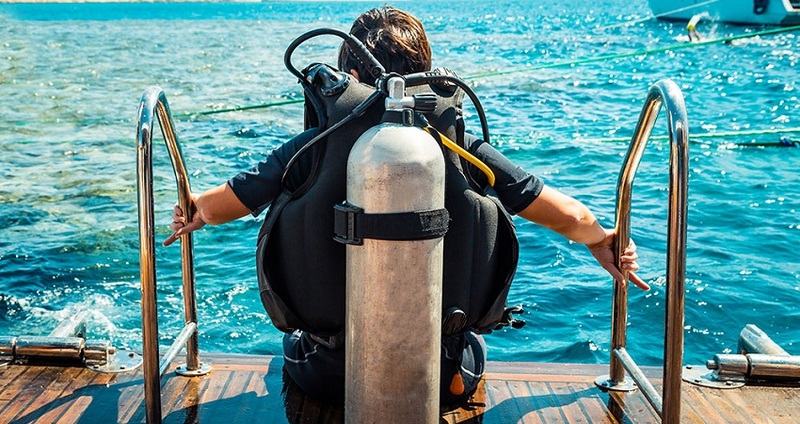 Before your dive, a detailed brief will take place. 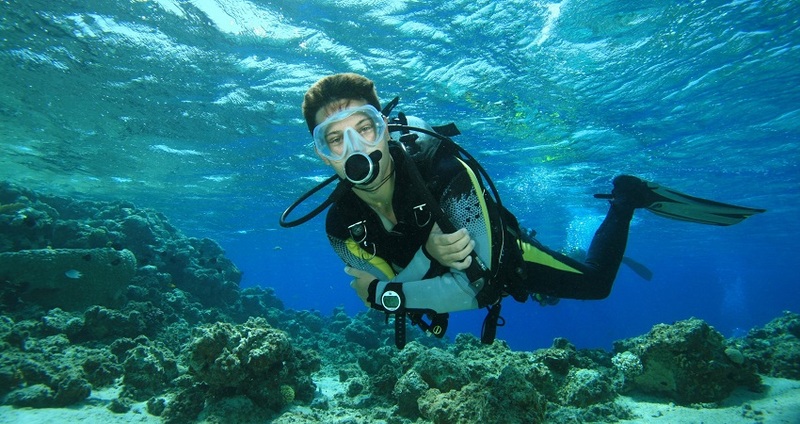 Professional scuba dive instructors will let you know about important safety and technical information. Instructors will demonstrate how to use properly all the equipment and how the underwater communication takes place. This introductory course includes everything you need to know about your scuba dive experience. Scuba Diving adventure includes a boat trip and 2 dives that can be conducted by both, beginners and experienced divers. For safety reasons, the dives that you are going to do have a maximum duration of 40 minute each. 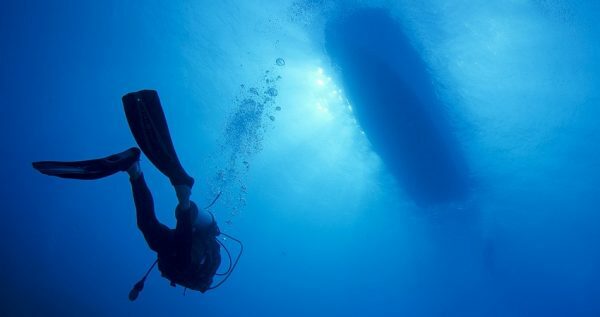 Therefore, there is no need to worry about the difficulty level, if this is your first dive.. Your dives will take place at two beautiful spots choosen by the captain in the tour day. The waters of Side is always warm and have great visibility. 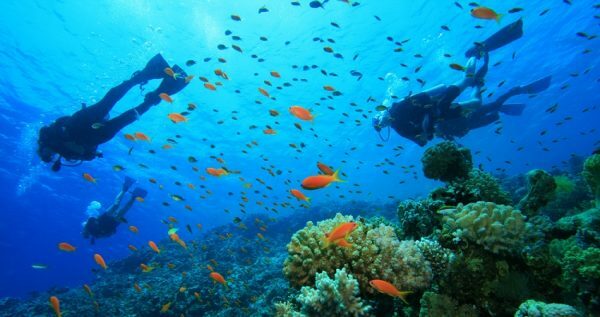 During your diving you will be amazed by the beauty of the marine life. Get ready to observe the amazing underwater world that is hidden from you. 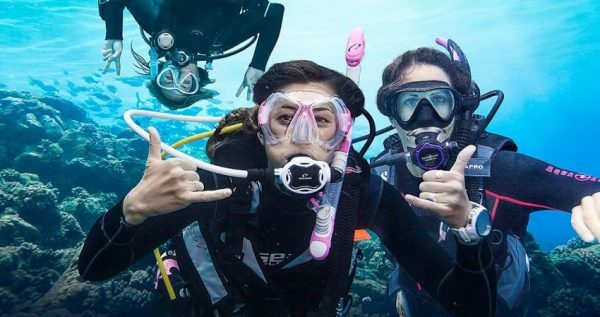 Reefs, wrecks and a variety of fishes will make your dives unforgettable. After your magical exploration in the sea, and in between the two dives, a nutritious and light lunch will be offered on board. The lunch includes sautéed chicken, pasta and salad. 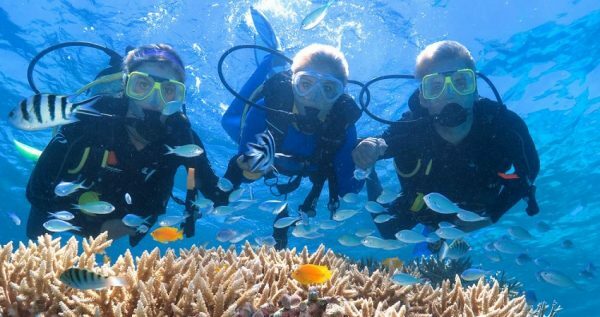 In order to participate in the Side Scuba Diving Tour you have to be above 12 years old. The diving activity requires confidence. However, if you are not feeling ready to dive, but you are willing to take part in a unique experience, then you are also welcome to participate in this trip! Our boat offers an amazing sun deck, where you can simply enjoy sunbathing. If you wish, you can swim or make use of our complimentary equipment for snorkelling. Side Diving Tour ends by the afternoon. A vehicle will then transfer you from the port towards your hotel. By the end of the day you will be able to understand the unique sea environment and appreciate the beauty of underwater activities that Turkish costs offer. Check out our Side Dolphin Show. It’s a great fun for whole family! 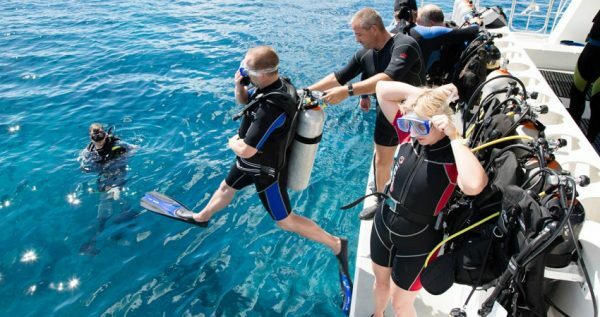 Your vacations in Side will never be the same after this amazing Side Diving Tour. Dive twice in the turquoise waters of the Mediterranean Sea and observe Europe’s biggest underwater museum. Side Scuba Diving Tour is an excellent alternative for adventure, fun and exploration. A comfortable vehicle will pick you up from your hotel during the morning and drive you towards the boat’s departure point. At the port and before entering the boat, you are going to meet your scuba dive instructors. 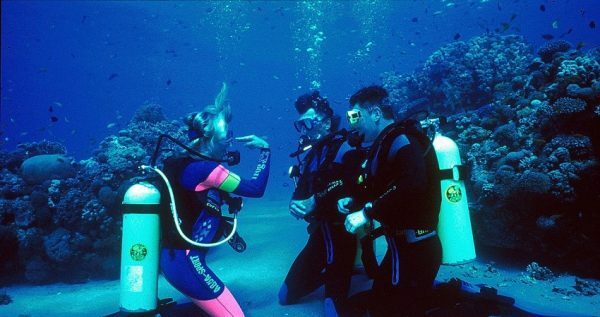 Before your dive, a detailed brief will take place by our professional and certified instructors. 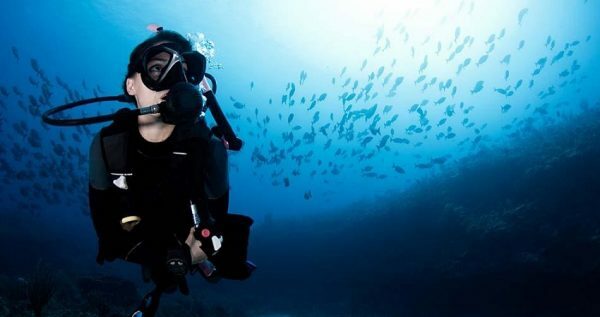 This brief includes all the important safety and technical information that you need to know in order to dive. Scuba dive instructors will show to you how to use all the necessary equipment. In addition, you will have the chance to test breathing with professional oxygen tubes. 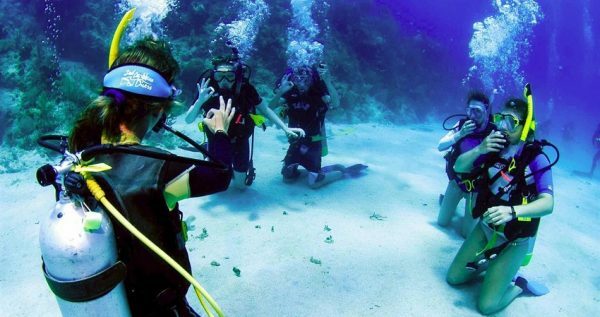 Underwater communication with sign language will also be demonstrated by the professionals. Feel free to ask anything you want during the briefing session. Side Diving Tour includes two dives of 40 minute each. Your excursion begins and the boat is heading the first diving spot. Dives will take place in the greater area of Side and spots are randomly selected by the professional instructors during the morning. The particular area is ideal for scuba dive since Side hosts the biggest underwater museum in Europe and has clear waters that allow maximum visibility. After your first dive, a lunch break follows aboard. You will enjoy a light and tasty menu that includes sautéed chicken, pasta and salad. Take some time to relax and get the required energy in our specious boat. Filled with energy and enthusiasm another dive follows. The boat will then head the spot for your second dive. Once again, you will have to follow the same instructions as given by the certified scuba dive instructors. The second dive takes place at a different spot where you will be able to observe reefs, wrecks and a variety of fishes. You will be amazed by the beauty of the underwater environment and the feelings that diving is able to create. Side Diving Tour finishes once you reach the port. During your dives, official photos and videos will be taken by our diving team. You can preview and purchase them at an extra cost once you reach the port. These photos and videos will be great souvenirs to take back home from this unforgettable experience. 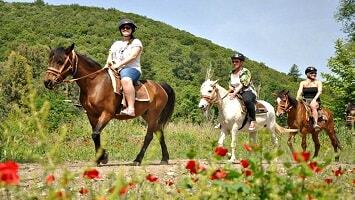 Being full of emotions and memories you will be transferred back to your hotel.